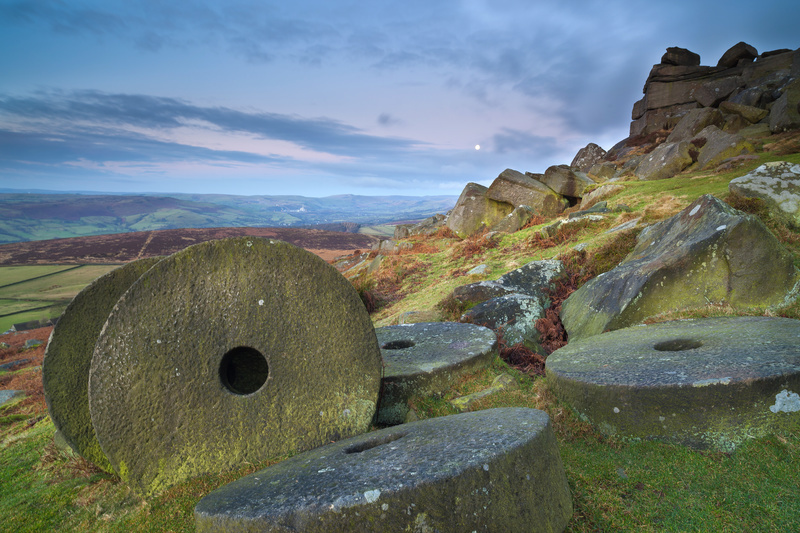 The Peak District National Park became Britain’s first National Park in 1951. It covers 1,438 square kilometres of beautiful countryside from dark gritstone crags and sweeping moors of the Dark Peak to the rolling limestone hills and steep, wooded, flower rich dales of the White Peak. Centrally located in the Park is the Hope Valley. The Park has over 10 million visitors from England every year and is second only to the Lake District in number of visitors to our National Parks. Surrounded by the cities of Sheffield, Manchester, Leeds, Nottingham, Derby and Stoke-on-Trent the Park is easily accessible to more than 16 million people who live within an hour's drive of the boundary. The Samuel Fox Country Inn is an ideal base from which to explore the National Park. We are close to Castleton and the show caves there; Edale and the wild beauty and desolation of Kinder Scout and the start of the Pennine Way; the spa town of Buxton; beautiful towns and villages such as Bakewell, Tideswell, and the plague village of Eyam, as well as the Derwent Dams, made famous by the dambuster squadron of world war two. Close by there is an abundance of English Heritage and National Trust sites, including Hardwick Hall, Haddon Hall and Peveril Castle as well as the imposing home of the duke of Devonshire at Chatsworth.